This post originally appeared on the Spirituality, Nature and Culture Laboratory (SNC-LAB) blog. Through this short blog, I would like to introduce you to a group of films that I watch as a part of my spiritual practice. I have been watching these films for over a decade, and find that they are some of the most powerful catalysts for spiritual cultivation, especially in the context of social and ecological transformation. As part of my day job, I regularly ask myself how society can move toward a socially just and sustainable mode of civilization— toward an Ecological Civilization. [i]The power of these films is that they develop certain observational and empathetic qualities that strengthen my personal and professional commitments while enhancing my capacity to respond to planetary suffering. Therefore, I use them as objects of spiritual guidance. Collectively, I refer to these films using the term ‘contemplative ecocinema,’ since they combine elements of both contemplative cinema and ecocinema. Contemplative cinema is a genre of art cinema that features long takes, and is often minimalist, observational, and with little or no dialogue. They highlight the importance of atmosphere and the ambiance of the environment, emphasizing the background and the context over actions in the foreground. In this way, they encourage the viewer to enter into an experience of the film, rather than being pulled along a pre-given story structure with an expected outcome. Most films rely on conventional storytelling and film-making methods to engineer filmic experiences that maximize entertainment value. Like an amusement park, they are intentionally constructed to solicit emotional responses that satisfy (which is why consumer research is incorporated into creative decision-making processes). By contrast, contemplative films feature a lot of ambiguity, empty space, and pause for reflection, inviting viewers to relate to the film and make meaning in ways that are personal. They are often very demanding films, because they require careful attention and emotional engagement and may involve subject matter that exposes us to vulnerability. But for this reason, they are also among the most transformative to watch. Personally, some of my favorite contemplative ecocinema include: Samsara (dir. Fricke), Visitors (dir. Reggio), Koyaanisqatsi (dir. Reggio), Manufactured Landscapes (dir. Baichwal), Behemoth (dir. Liang), and Our Daily Bread (dir. Geyrhalter). Although I would not technically consider them contemplative ecocinema (since they rely on a more explicit and dialogue-driven narrative structure), I would also highly recommend: Stalker (dir. Tarkovsky), Mindwalk (dir. Capra), Home (dir. Arthus-Bertrand), and Terra (dir. Arthus-Betrand). The reason I choose these films is personal, and there are substantive differences between them; but in each case, they evoke an affective ecology of objects, sounds, and narratives that implicate me (as a viewer) in an experience of social and ecological injustice, while inducing a variety of personal responses to my felt presence and engagement in those injustices. The original meaning of ‘affect’ within affect studies (traced back to Deleuze’s 1978 lectures on Spinoza) is an “increasing and decreasing capacity to act.”[v] The combination of objects, sounds, and narratives in these films have profoundly transformed my understanding of the human-nature relationship to the extent that they continue to impact me and inform my behavior long after watching. [vi] For example, the film Samsara evokes visceral feelings of heart-break, awe, and beauty that remain inscribed in my memory and deeply inform my resolve to redress injustice. Similarly, my experience watching coal miners suffering from respiratory ailments in Behemoth motivates my ongoing activism in China where air pollution contributes to the deaths of 4,400 people per day. 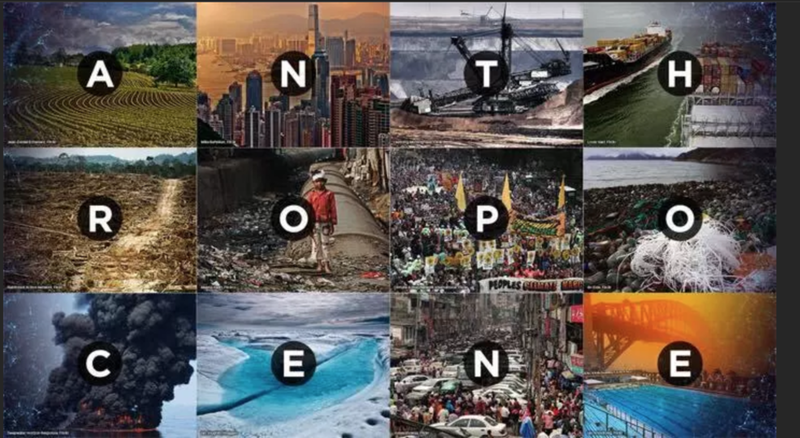 [vii]What is unique about contemplative ecocinema is that it makes the viewer aware of invisible subaltern realities, and in so doing, invites us to take responsibility for our entanglement with social and ecological injustices. Watching these films as an engaged mindfulness practice is an excellent way to cultivate fierce compassion. CONTENT WARNING: These images portray scenes of injustice. Please watch mindfully. Before watching, set an intention. While watching, maintain a meditative posture. Consider your affective reactions to what you see and hear. Notice how you make sense of the relationships between what the film presents and yourself. After watching, take some private moments to reflect upon and process your experience; then later, consider discussing the film with others. [ii] Paula Willoquet-Maricondi, ed., Framing the World: Explorations in Ecocriticism and Film (Charlottesville, VA: University of Virginia Press, 2010). [v] Ondine Park, Tonya K. Davidson, and Rob Shields, Introduction to Ecologies of Affect: Placing Nostalgia, Desire, and Hope, edited by Tonya K. Davidson, Ondine Park, and Rob Shields (Waterloo, ON: Wilfrid Laurier University Press), 4. [vi] Alexa Weik von Mossner, Affective Ecologies: Empathy, Emotion, and Environmental Narrative (Columbus, OH: The Ohio State University Press, 2017), 7. [vii] Robert A. Rohde and Richard A. Muller, “Air Pollution in China: Mapping of Concentrations and Sources,” PLoS ONE 10 (8): e0135749. https://doi.org/10.1371/journal.pone.0135749.